Dental caries is primarily caused by pathogenic bacteria infection, and Streptococcus mutans is considered a major cariogenic pathogen. Moreover, antimicrobial peptides have been considered an alternative to traditional antibiotics in treating caries. This study aimed to design a tooth-binding antimicrobial peptide and evaluate its antimicrobial efficacy against S. mutans. An antimicrobial peptide of polyphemusin I (PI) was modified by grafting a tooth-binding domain of diphosphoserine (Ser(p)-Ser(p)-) to create the peptide of Ser(p)-Ser(p)-polyphemusin I (DPS-PI). PI and DPS-PI were synthesized by Fmoc solid-phase peptide synthesis. The minimum inhibitory concentration of PI and DPS-PI against S. mutans were tested. Scanning electron microscopy (SEM) were used to observe the growth of S. mutans on PI and DPS-PI treated enamel surfaces. The growth of S. mutans was evaluated by optical density (OD) at 590 nm. Inhibition of dental plaque biofilm development in vivo were investigated. The cytocompatibility to bone mesenchymal stem cells (BMSCs) was tested. The MIC of PI and DPS-PI were 40 and 80 μg/ml, respectively. SEM images showed that S. mutans were sparsely distributed on the DPS-PI treated enamel surface. OD findings indicated that DPS-PI maintained its inhibition effect on S. mutans growth after 24 h. The incisor surfaces of rabbits treated with DPS-PI developed significantly less dental plaque biofilm than that on PI treated surfaces. The DPS-PI had good biocompatibility with the cells. 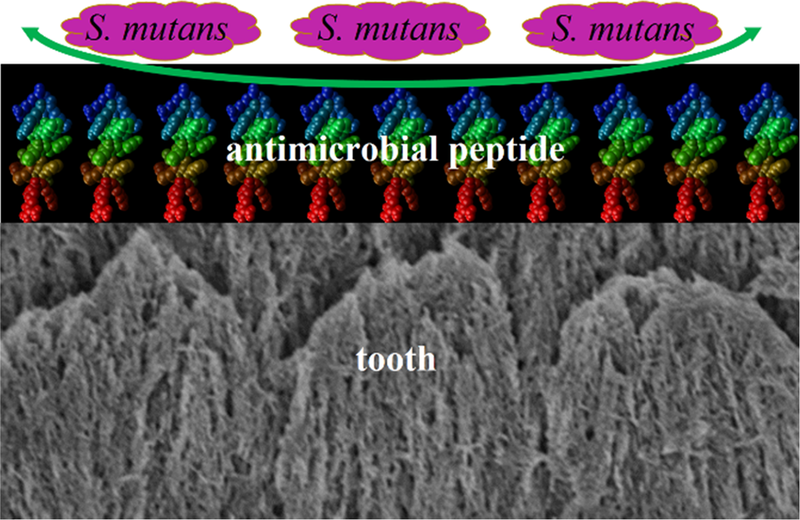 We successfully constructed a novel tooth-binding antimicrobial peptide against S. mutans in vitro and inhibited dental plaque biofilm development in vivo. DPS-PI may provide a feasible alternative to conventional antibiotics for the prevention and treatment of dental caries. Dental caries is primarily caused by pathogenic bacteria infection, and Streptococcus mutans is considered a major cariogenic pathogen. A tooth-binding antimicrobial peptide was designed by grafted diphosphoserine (-Ser(p)-Ser(p)-) to the structure of polyphemusin I. This novel tooth-binding antimicrobial peptide can inhibit dental plaque biofilm development and thus provide a feasible alternative to conventional antibiotics for the prevention and treatment of dental caries. 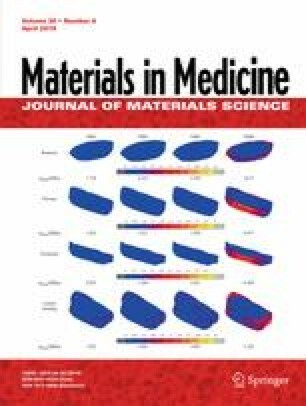 This work was supported by Grants for Scientific Research of BSKY from Anhui Medical University (grant number XJ201538); Scientific Research Foundation of the Institute for Translational Medicine of Anhui Province (grant number 2017zhyx20).